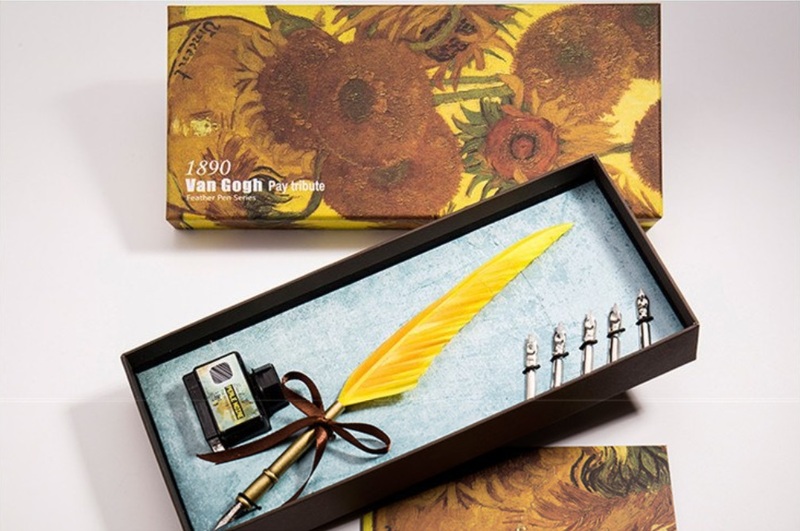 Calligraphy is visual art related to handwriting. 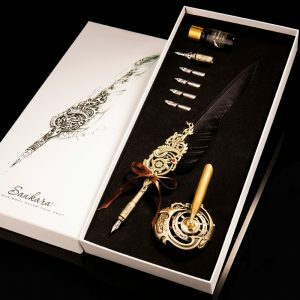 To dive in to the world of calligraphy, quill pen is on of the most elegant writing tool to start your artistic journey. 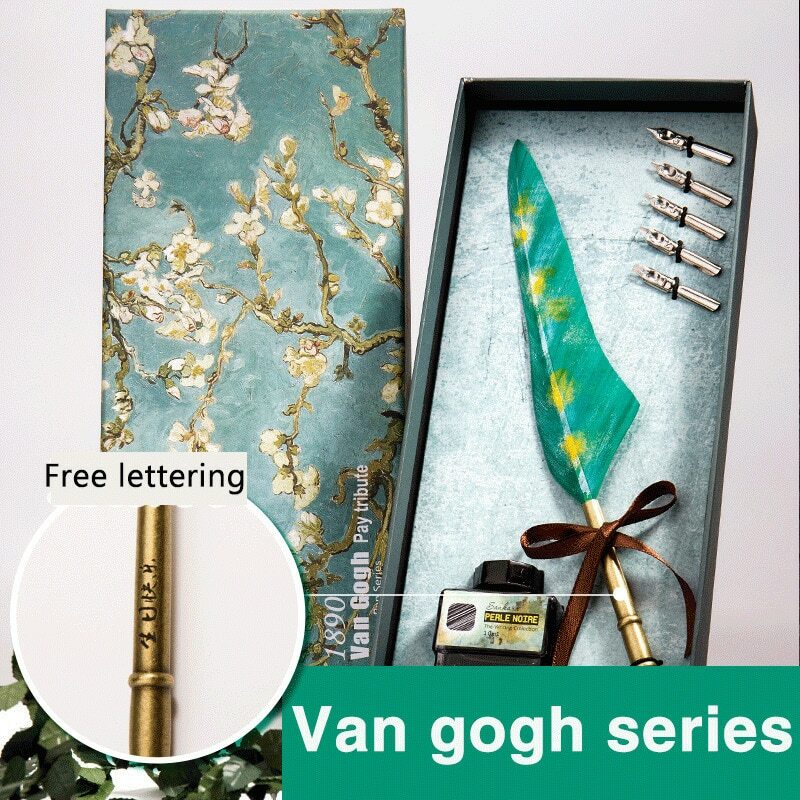 When calligraphy meets Van Gogh… presenting Van Gogh Series Feather Dip Pen Set! 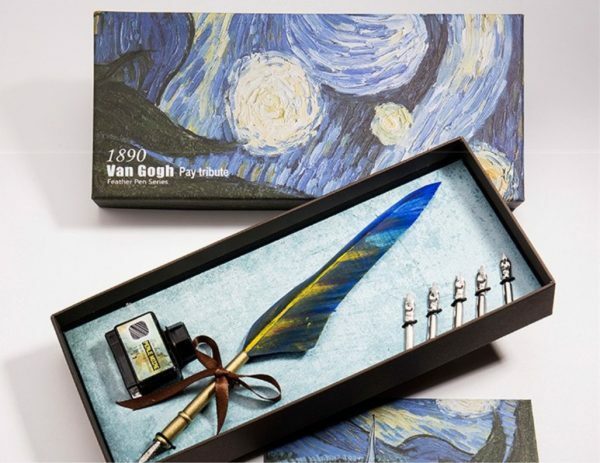 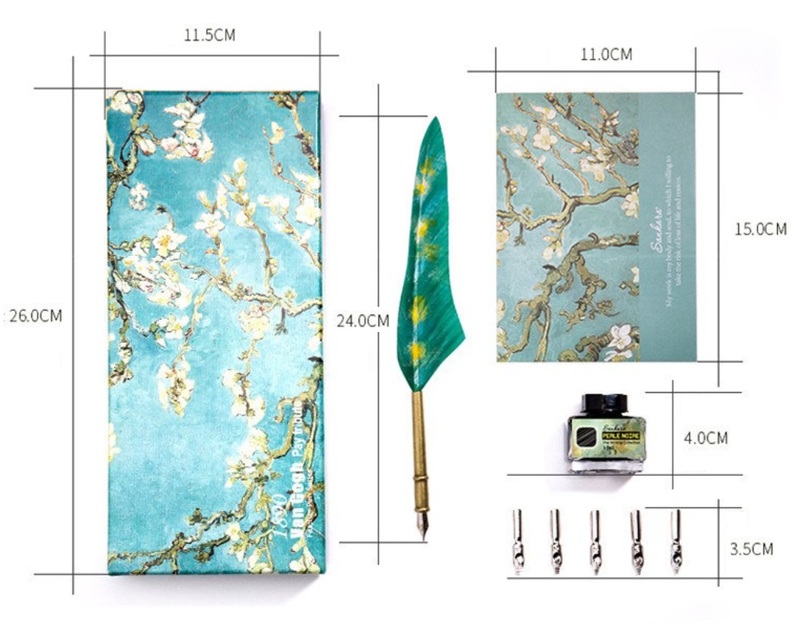 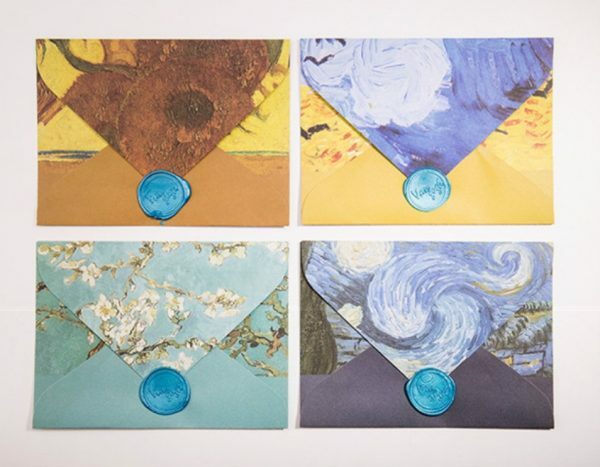 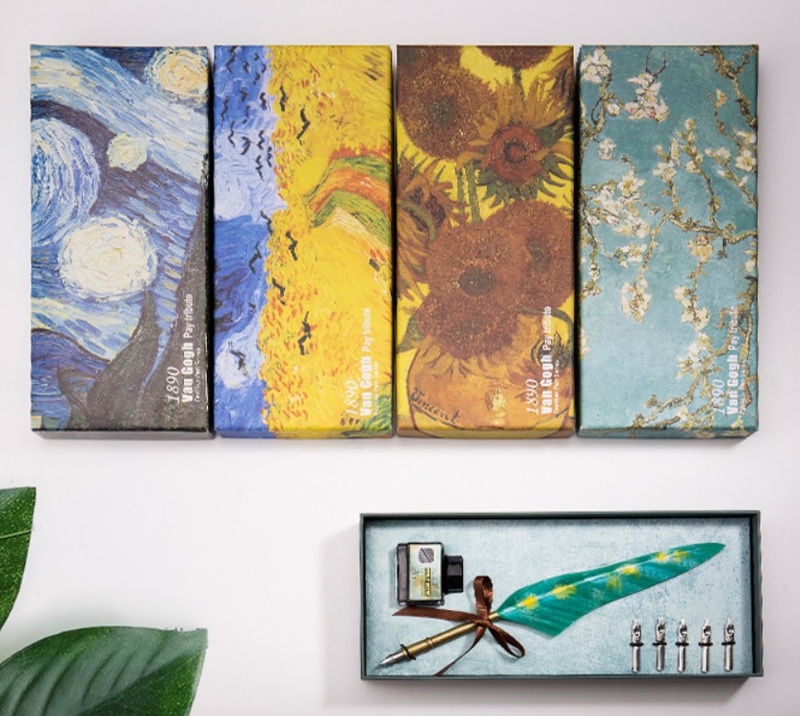 ✒ART PLUS ART : This elegant set of feather pen is inspiring from Van Gogh’s world-renowned artworks including Starry Night, Sunflower, Wheatfield with Crows and Almond Blossom. 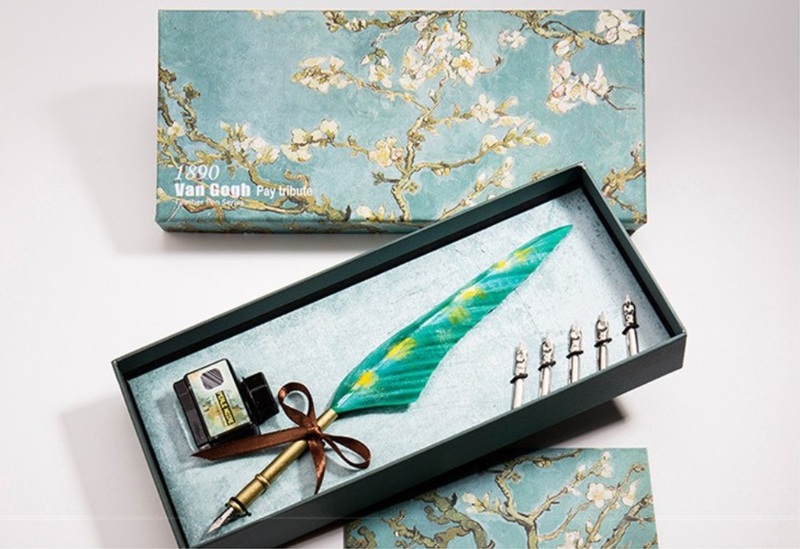 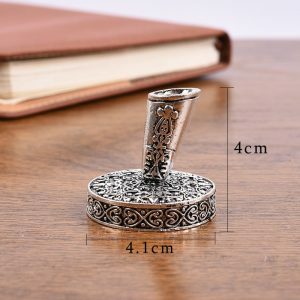 ✒DECORATIVE : The aesthetic pattern on feather makes it an unique decorative accessory on your desk, in living room or office. 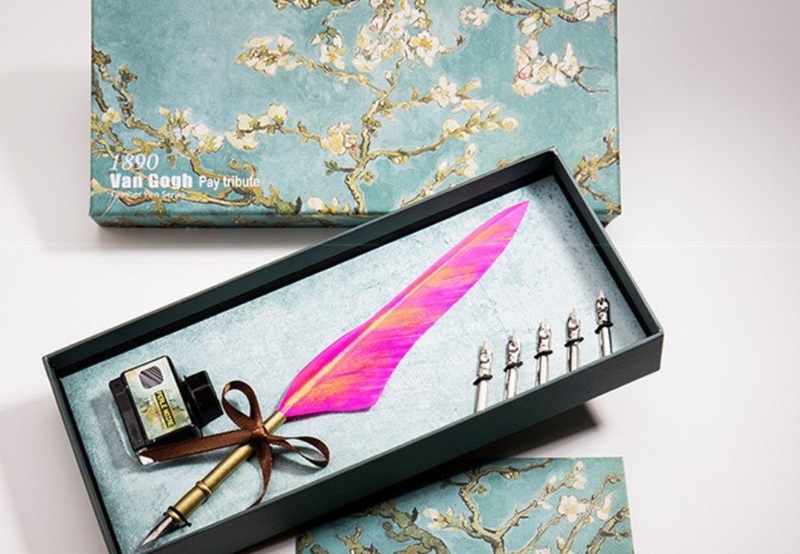 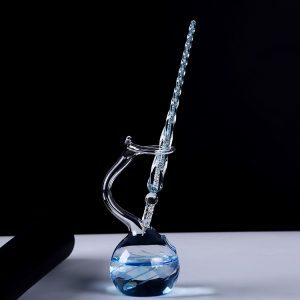 Show off your artistic taste simply with this beautifully-made feather pen set. 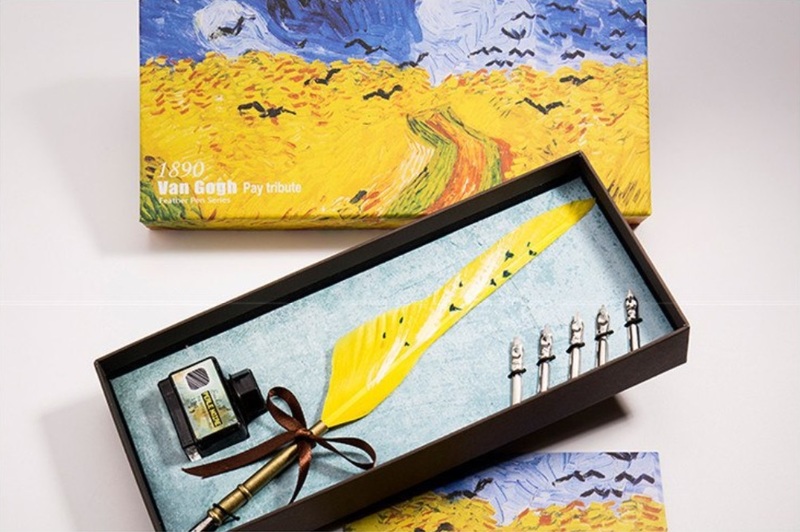 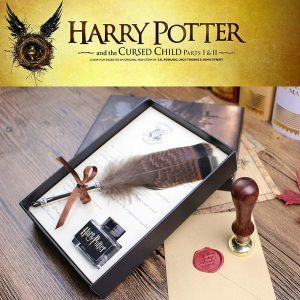 ✒MEANINGFUL GIFT: The quill pen set contains wow factors that will surprise your friends, family and colleagues who are into art and calligraphy. 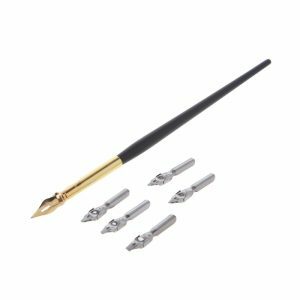 Customize lettering : Please leave a note at checkout page. 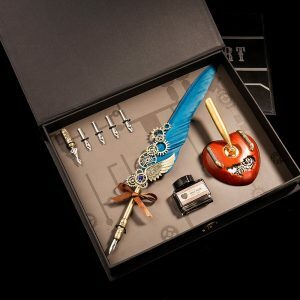 The maximum character is 10.